Scottsdale, AZ - Featuring cutting-edge milling technology, Miura's latest release delivers the legendary feel that golfers around the world covet. "The Tour Wedge is the first Miura design to use CNC milling for the club face and grooves," explains Hoyt McGarity, President of Miura Golf. 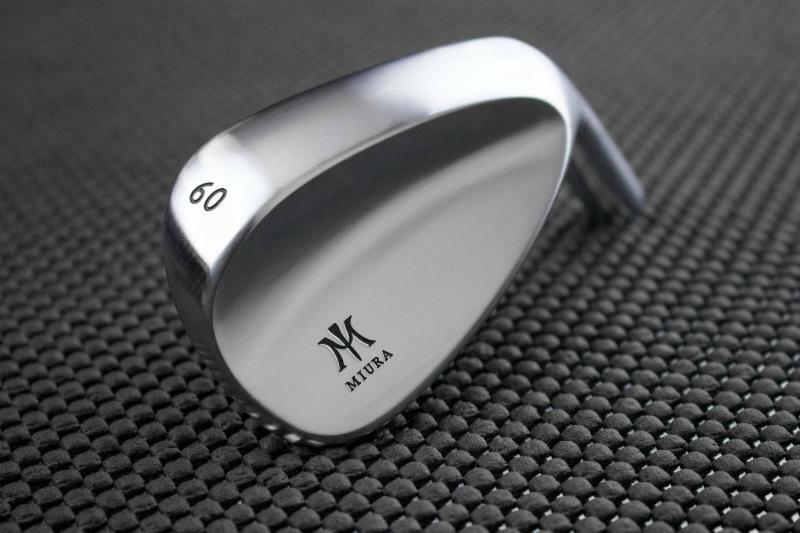 "Combining this technology with Miura's classic forged steel construction creates a feel at impact that can't be beat." Made of premium (S25C) carbon steel, the Tour Wedge is designed for mid- to low- handicap players who want solid feel with versatility. The CNC-milled face and grooves provide increased precision and the control necessary for enhanced spin control. Additionally, the wedge's hollow back and higher center of gravity improves trajectory and accuracy in each loft offering. Available in even-numbered lofts ranging from 48° through 60°, the Tour Wedge is finished in a satin chrome that looks as good as it performs. For more information on Miura Golf, visit www.MiuraGolf.com. Follow us on Facebook at www.Facebook.com/MiuraGolf, on Twitter @MiuraGolfInc, and Instagram @MiuraGolf.